Is gender learned or innate? This controversial play asks the question: what happens if you raise a boy to sew and behave as a girl, and raise his sister to fight as a soldier? 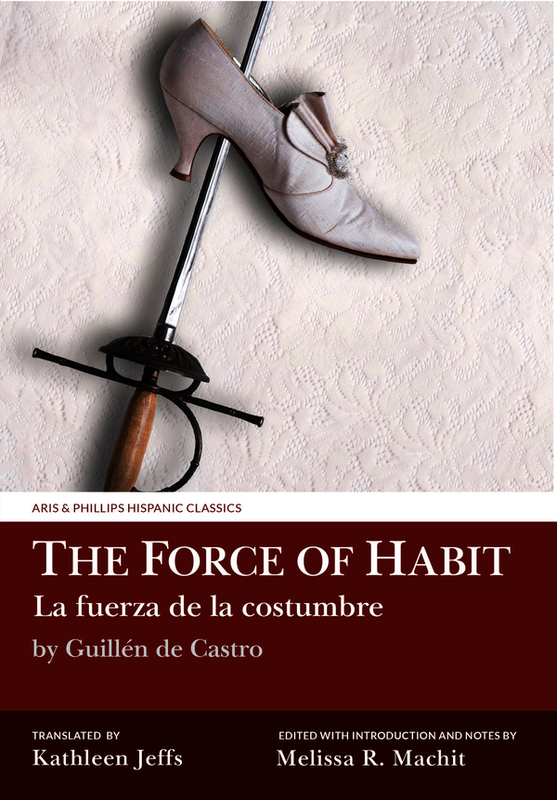 For the first time ever, Guillén de Castro’s La fuerza de la costumbre (‘The Force of Habit’) will be available to English and Spanish audiences with a performance-tested translation on facing pages. Castro’s plot is unique in that, unlike other cross dressing plays, the children do not traverse gender boundaries by choice; instead complications arising from their parents’ problematic marriage dictate the gender they should perform. This new Spanish edition (the first since 1927) and performance-tested English translation will begin a new discussion of this understudied work and its implications among Hispanists, comparatists, performance theorists, and gender scholars. The critical apparatus includes a biography of the author, textual history, editorial methodology, metrical analysis, bibliography and notes on the text. Machit’s introductory essay, ‘Bad Habits: Gender Made and Remade in La fuerza de la costumbre’ aims to contextualize and investigate the most salient questions raised by Castro’s gender-bending play.